Fast, effective and painless treatment without surgery, needles and side effects involved at all! Would YOU like TO REDUCE THE APPEARANCE OF SAGGING SKIN AND OTHER TELLTALE SIGNS OF AGING? In today’s fast-paced and stressful world, it is inevitable that we are exposed to oxidative and environment stress that make our skin look tired, aged, saggy and droopy. Imagine yourself reaping all the benefits of looking 10 years younger and having all your friends and relatives envying you. For the first time in years, you will be getting praise and compliments from the people around you about your youthful-looking skin! Gone are the days of people calling you “haggard”, “tired” or “old”. Now, imagine you achieving all these within a span of 30 minutes? With ONLift®, it is now possible! Quit wasting your hard-earned money and getting your hopes dashed time and again by using gimmicky over-the-counter lifting creams that promise you the world but don’t deliver! ONLift® delivers non-invasive high levels of energy into the deeper skin layers to trigger the body’s natural healing response. 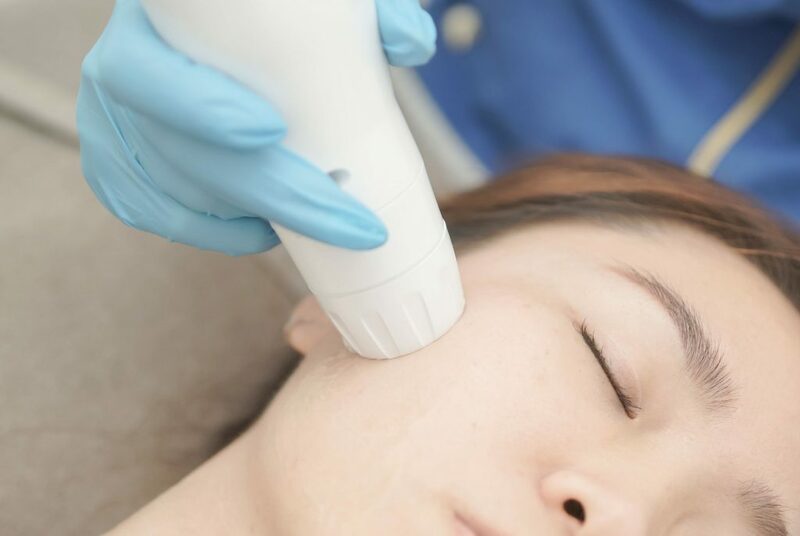 The multi-sequential ultrasound bypasses the surface of the skin to deliver the right amount of ultrasound energy at the right depths and temperature. This regenerates supportive collagen fibres, which consequently firms and tightens the skin. As a result a tauter, slimmer and more defined V-shaped face can be experienced. It can lift skin on the neck, under the chin and around the eyes while also improving the appearance of lines and wrinkles on the décolletage. There’s no reason why you should continue looking your actual age and suffer from the demoralising effects of aging. Age reversing is simpler and easier to achieve than you think! This stunning non-surgical facelift, ONLift®, aids in treating the loose skin around your neckline, jowl, jawline, eyelids and even laugh lines! It delivers results as effective as Botox (if not better), minus the pain and risks! ready for your transformation? schedule a face assessment now! Not to worry, ONLift® treatments are completely painless! Prior to each treatment, a cooling ultrasound gel will be applied to the treatment areas and the treatment device will do its magic on these areas. We would recommend you to come for sessions once every fortnight. However, the best interval differs for each individual according to their condition and targets. For the best personally tailored advice, speak to our doctors and experienced aestheticians! Get your free facial assessment and consultation now when you sign up online! Are ONLift® treatments safe and are there any side effects? There are no side effects. It is FDA-approved and safe for usage, especially in the skilled hands of our practised aestheticians and doctors! You can expect instantaneous results of a much slimmer and lifted face after every treatment! Results will be especially enhanced with each returning treatment session.